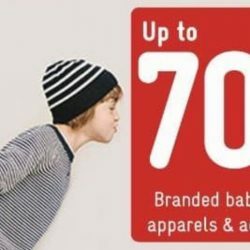 Petit Bateau Warehouse Sale is back with branded babies, kids and ladies apparels & accessories at up to 70% OFF + up to extra 15% OFF! 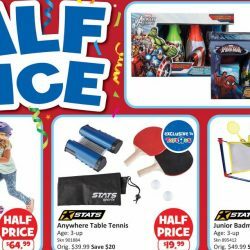 Sale is happening from 20 to 23 March 2019. As a specialist in baby and kids fashion from France since 1893, Petit Bateau is renowned for its impeccable cotton. Petit Bateau accorded Oeko-Tex certification after undergoing stringent assessments. Their products are comfortable, reliable and do not contain carcinogenic and allergic substances, making it perfect for sensitive skin. 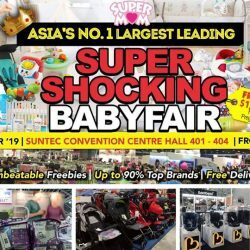 15 - 17 Mar 2019 SuperMom Baby Fair: Asia’s No. 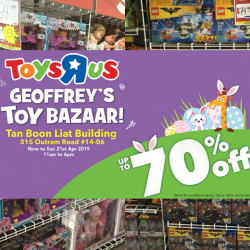 1 Largest Leading Baby Fair Is Back in Singapore with Up to 90% OFF Baby Products! Mommies and daddies, the annual SuperMom Baby Fair is coming back! This time it is located at central Singapore - Suntec City not at Expo, so it's more convenient for everyone! Also for the first time ever, pregnant moms get FREE $100 CASH VOUCHER to spend plus FREE Goodie Bags and FREE Pampers Premium Care Diaper! Hurry and register now! Exclusively for the 1st 10,000 to register. 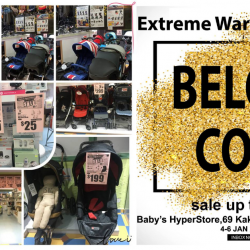 Mummies and daddies, head down to Baby's Hyperstore Branded Baby Warehouse Sale from 4 to 6 January 2019 to grab clearance sale items at up to 90% off! Over 200,000 brands, products and crazy deals direct from distributor, get ready to stock up baby essentials! 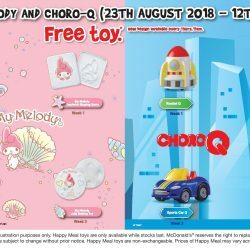 Head to McDonald's to collect these new toys every Thursday! 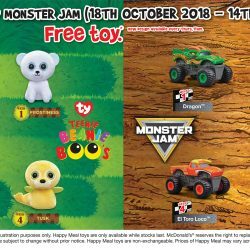 With every McDonald's Happy Meal purchased from now till 14 November 2018, get a FREE TY and Monster Jam toy. New design available every Thurs, 11am. While stocks last. 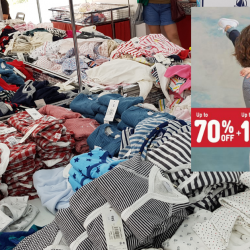 17 - 20 Oct 2018 Petit Bateau: Pre-Festive Sale with Up to 80% OFF Babies, Kids, Ladies Apparels & Accessories! 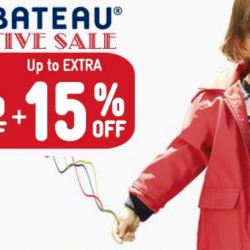 Don't miss Petit Bateau Pre-Festive Sale with Up to 80% OFF on branded babies, kids and ladies apparels & accessories! As a specialist in baby and kids fashion from France since 1893, Petit Bateau is renowned for its impeccable cotton and was accorded Oeko-Tex certification after undergoing stringent assessments. Their products are comfortable, reliable and do not contain carcinogenic and allergic substances, making it perfect for sensitive skin. EXTRA 15% OFF for KIDEA & PAssion card members with a minimum purchase of 12 pieces or 5% off with a minimum purchase of 7 pieces. 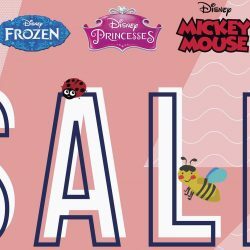 Selected kids apparel carrying your kids’ favourite Disney characters and Angelic Eyes are on Sale at up to 70% off at OG Orchard Point from now till Oct 17. Good for newborn to age 14, you can get hold of wide selections of apparel from Angelic Eyes, Disney Princess, Disney Frozen, Mickey Mouse, and Sofia the First.Hurry, they’re available only while stocks last! 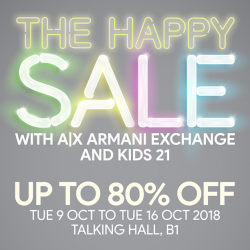 Till 16 Oct 2018 Takashimaya: The Happy Sale with Up to 80% OFF Armani Exchange and Kids 21 Brands! Experience smiles all around at the A|X and Kids 21 Happy Sale! Take home pieces from all-time favourites such as Armani Exchange, Camper Kids, Dsquared2, Little Marc Jacobs, Moschino, MSGM, Paul Smith Junior and Stella McCartney Kids at Takashimaya Talking Hall, B1 from Tue 9 Oct to Tue 16 Oct 2018. 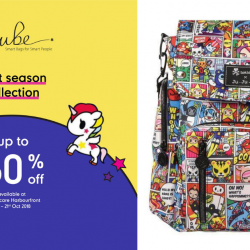 Fox Kids & Baby's Mid-Season SALE is on! 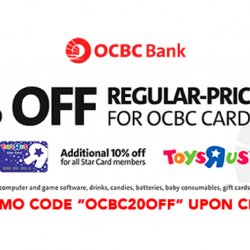 Enjoy UP TO 50% off + EXTRA 20% off your total bill min. $70 spend! What are you waiting for!? Don’t miss out on the great deals happening - you snooze, you lose. Shop now in stores or online! T&Cs apply. Check in store for more details. 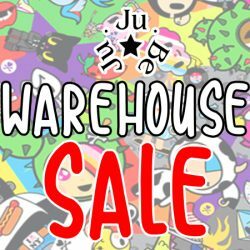 An exclusive warehouse sale featuring Ju-Ju-Be products will be taking place at HomeTeamNS's Bukit Batok clubhouse over the weekend! Score great deals of up to 80% off their items. Designed specially for the modern, stylish and functional moms and dads, Ju-Ju-Be bags are machine-washable, ultra-organized, incredibly durable yet lightweight! 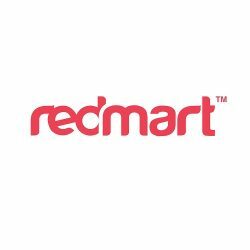 NEVER BEFORE clearance sale of international brands with BEST PRICES direct from distributor! Head down this weekend to Puku Baby Products Warehouse Sale and enjoy full Range of branded baby products available at unbelievably attractive prices! 1 - 9 Sep 2018 The Manhattan FISH MARKET: Kids Dine FREE with Every Ala Carte Main Course Purchased! It always all smiles when you dine as a family at The Manhattan FISH MARKET! 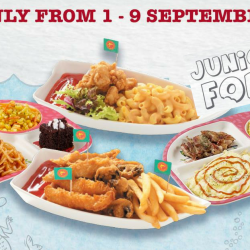 Kids now get a chance to dine FREE with every ala carte main course purchased from 1 – 9 Sept! With great options such as Pirates Surf ‘N Turf and Spag ‘N Chick Treasure Treats, it will definitely be a happy meal for everyone! Valid at all restaurants except Changi Airport T1. Other T&Cs apply. Looking for a stroller for your infant? 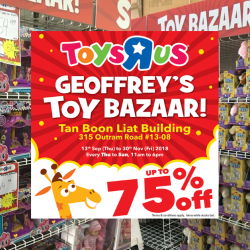 Check out the wide range of strollers, car seats, and ride-ons at Toys"R"Us Big Sale for your little one! 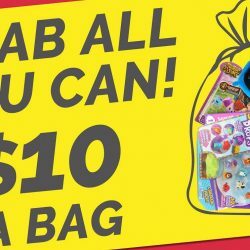 Find it online or Toys"R"Us stores island wide! 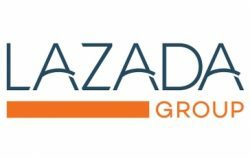 Shop for Dumex Baby Milk Powder at Lazada with this coupon code and enjoy $10 off with min. spend of $100! 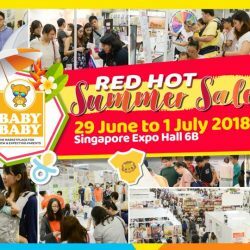 29 Jun - 1 Jul 2018 Baby Baby: Mega-Saver Baby Fair at Singapore Expo This Weekend! 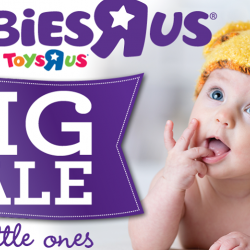 Check out great deals from Aprisin, Capella, BabyLove, Bonbijou, California Baby, Caraz, Dumex, Farlin, Fisher-Price, Galipette, Gracious Goodness, Moony, Omie, Parklon, PumpinPal, Stokke, Spectra, Tula, Zoobies and so many more!